For a holiday meant to celebrate love, Valentine’s Day conjures up a lot of mixed emotions. 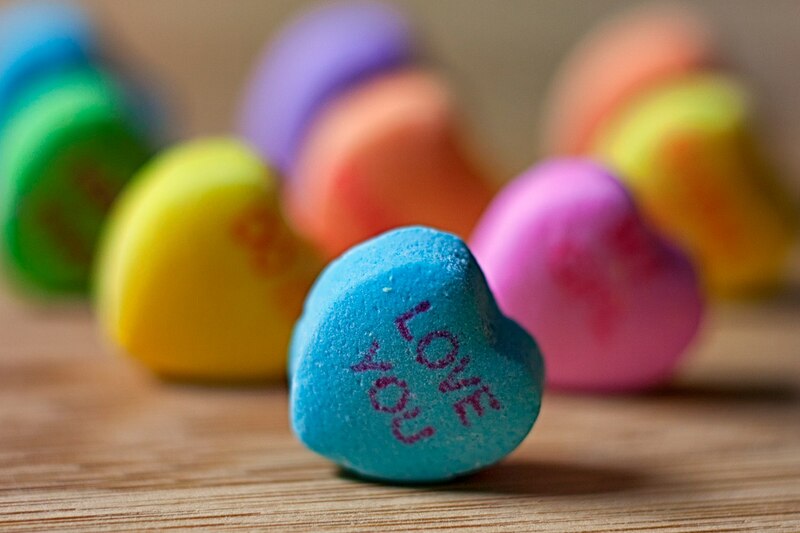 Depending on their current romantic situation, your customers might adore or abhor February 14. That can make it tricky to devise a marketing campaign, but it’s also an opportunity to get creative and have a lot of fun with the holiday. Here are some ideas that will make your customers fall in love all over again (with your business, at least). 1. Host a Galentine’s Day event. Celebrate the strongest bonds and most unconditional love out there: female friendships. If you have a boutique, throw a shopping party with bubbly and plenty of sweets, or team up with a local spa and offer manicures. If you have a cafe, offer special “Galentine’s Day” drinks or menus. 2. Showcase vintage love stories. Your customers might not want to hear about young, gorgeous, disgustingly-in-love new couples, but the sweet stories of our grandparents? That’s different. Ask your Facebook and Instagram followers to use a hashtag and post about their grandparents, great-grandparents, or any other inspiring couple from the past with an inspiring love story. Feature your favorites, plus offer them a discount or free gift. 3. Turn bad breakup stories into a competition. Valentine’s Day isn’t all heartwarming vintage love stories. Fortunately, laughing at ridiculous exes can be incredibly cathartic. Ask your Twitter followers to share their worst breakup tales, and narrow it down to about five of the most egregious and hold a vote. Award the winners a gift card to your business. 4. Launch a tournament of terrible gifts. Tiny teddy bears in mugs, tacky heart-shaped jewelry, bouquets of unnaturally colored carnations — there are so many unfortunate Valentine’s Day presents out there, so poke some fun at the worst offenders with a bracket of bad gifts. Invite customers to vote in daily matchups on Facebook, and take the opportunity to promote excellent (and easily shareable) alternatives from your shop. 5. Promote random acts of love. Valentine’s Day can get a bad rap for being all about grand romantic gestures: the elaborate meal at the four-star restaurant, the pricey piece of jewelry, the giant bouquet of red roses (sent to your sweetie’s office for extra envy inducement). Instead, get back to basics and urge your followers to commit random acts of love and post them with a designated hashtag on Instagram. It could be as simple as making the bed for your partner or buying coffee for a stranger. Repost your favorite ideas and spread the love with a discount code. Perhaps the most important relationship in life is the one you have with yourself, so encourage your customers to be good to themselves on a day they otherwise might dread. Encourage your followers to post a selfie (or photo of just themselves) on social media and ask them to share one way they’re planning to be kind to themselves on Valentine’s Day. Offer them the opportunity to treat themselves with a special sale when they flash their selfie in your store. 7. Throw a pet adoption party. Valentine’s Day is about celebrating all kinds of love — including the furry, four-legged, face-licking kind. Partner with a local animal shelter and throw a party where customers can meet with adoptable dogs and cats. Cross-promote the event with your shelter partners via email marketing campaigns, social media, and local blogs or news publications. Even if shoppers aren’t in the market for a new pet, let them know you’re donating a portion of the day’s sales to the shelter. However your business chooses to celebrate Valentine’s Day, be sure that you’re getting the word out with social media, an email marketing campaign, and plenty of in-person marketing. Get creative, have fun, and spread the love.